Jeep long ago kicked off of the military exterior, but the absolute rugged power still remains and lends itself well to Jeep’s new image, which is pure adventure. The Cherokee fills the gap where families and the adventurous type want to enjoy wild exploring, but still have a practical car that takes them from A to B. 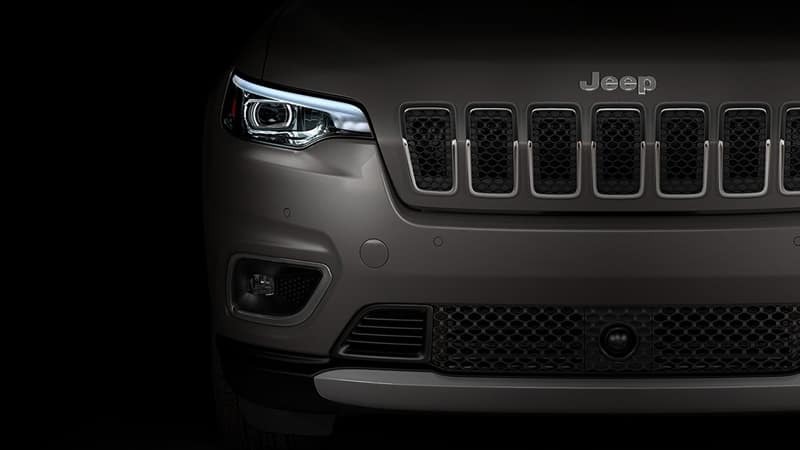 Check out some of the 2019 Jeep Cherokee features to see why this is a popular option among many different car lovers. Although the Cherokee still manages to maintain that formidable grille and tough exterior, the edges have been smoothed a little to appeal to a wider crowd. Drivers also have a number of trims to choose from, and the Altitude starts off the range as the base model. The other five are the Latitude Plus, Altitude, Trailhawk, Limited, and Overland. 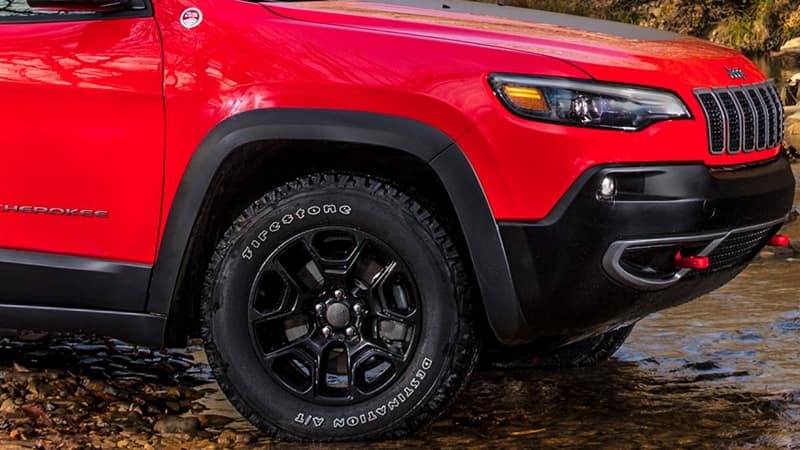 Where the Trailhawk features a more rugged bumper, the Overland sports additional touches of chrome and 19-inch aluminum wheels. As if six trims isn’t enough to choose from, the Cherokee range also sports three different engines. The first option is the 2.0-liter I4 DOHC DI engine that features a turbo for added power. All trims have this engine as an option except the Latitude. The standard option for the Latitude, Latitude Plus, and Altitude is the 2.4-liter I4 MultiAir. The final engine in the range is the 3.2-liter V-6 24-valve VVT, which drivers of the Trailhawk, Limited, and Overland have as an option. 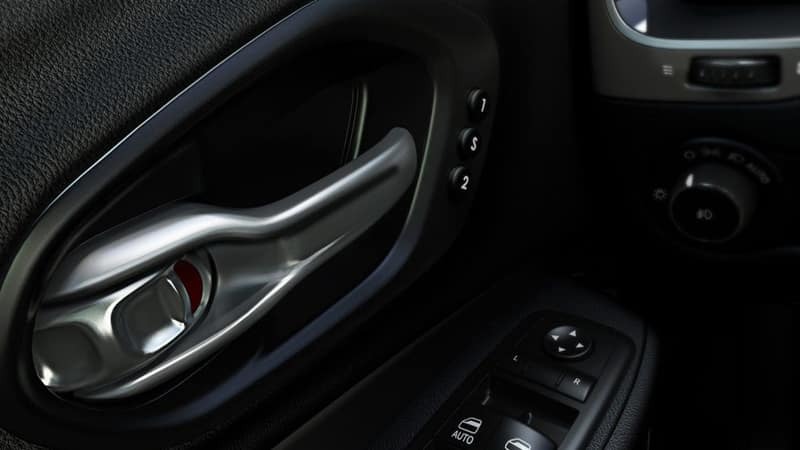 All the engines pair up with a nine-speed transmission, however, key changes differentiate the transmissions from each other for the different trims. There is much to get excited about when it comes to the performance statistics, and the 2.0-liter engine starts it off with an impressive 270 horsepower and 294 pound-feet of torque. The 2.4-liter pushes out 184 horsepower and 171 pound-feet of torque, while the 3.2-liter boasts 271 horsepower and 239 pound-feet of torque. Entertainment is an important element in the Cherokee, as the various SiriusXM options prove. Drivers of the Overland can look forward to a five-year subscription to the SiriusXM travel and traffic services. The rest of the trims in the range have the SiriusXM satellite radio system as standard except for the Latitude, which has it as an optional feature. The first three models also feature the Uconnect 4 with the 7-inch display, and the last three models sport the Uconnect with an 8.4-inch display. Jeep spared no expense in ensuring that the best safety features are present in the Cherokee range. Included are the Park-View rear backup camera and a number of air bags in strategic locations, to ensure sufficient cushioning in the event of a collision. Those who wish to take on the roads less traveled while still making the ride a little easier can rely on the all-speed traction and electronic stability controls. Those who want to bump up the security some more should consider the Overland, as it provides full-speed collision warning and a crash mitigation feature. Now that you’ve gotten acquainted with the 2019 Jeep Cherokee, discover it for yourself. Just schedule a test drive. * 2019 ** Jeep * * Cherokee * * Latitude Plus * With such great unique features like a push button start, backup camera, Bluetooth, braking assist, a power outlet, hill start assist, stability control, traction control, anti-lock brakes, and dual airbags, you'll be excited to take this 2019 Jeep Cherokee Latitude Plus for a ride. Drivers love the timeless blue exterior with a black interior. You can trust this SUV 4X4 because it has a crash test rating of 4 out of 5 stars! Call today to test it out! Call Josh Tharp at 317-839-6554 for more information or to start your EAZY DEAL at Westgate By submitting an inquiry on this vehicle you are agreeing and consenting to our dealership contacting you by telephone, text messaging or other means concerning your inquiry, potential vehicle sale or promotional offerings by our dealership and other information. By participating, you consent to receive recurring text messages sent through an automatic telephone dialing system. Message and data rates m. Contact Information: Westgate Chrysler, 2695 East Main Street, Plainfield, IN, 46168, Phone: (317) 839-6554, E-mail: jtharp@westgateauto.com. * 2019 ** Jeep * * Cherokee * * Altitude * Buckle up for the ride of a lifetime! 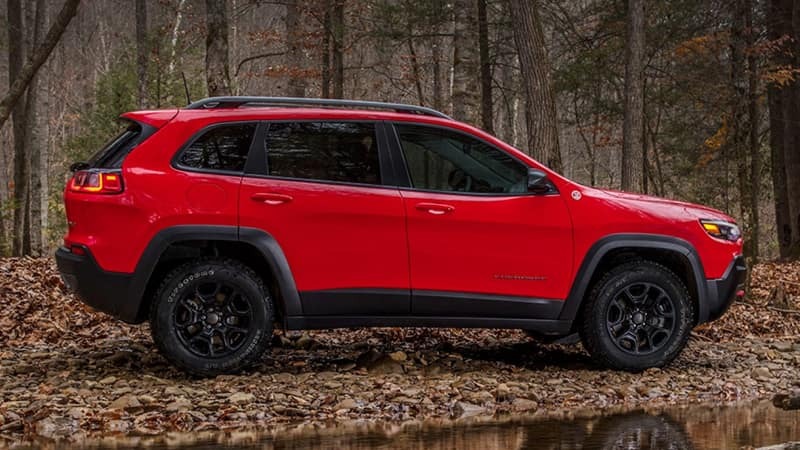 This 2019 Jeep Cherokee Altitude includes a top-notch push button start, backup camera, Bluetooth, braking assist, a power outlet, hill start assist, stability control, traction control, anti-lock brakes, and dual airbags. Flaunting a gorgeous velvet exterior and a black interior. With a 4-star crash test rating, this is one of the safest vehicles you can buy. Interested? Call today to take this vehicle for a spin! Call Josh Tharp at 317-839-6554 for more information or to start your EAZY DEAL at Westgate By submitting an inquiry on this vehicle you are agreeing and consenting to our dealership contacting you by telephone, text messaging or other means concerning your inquiry, potential vehicle sale or promotional offerings by our dealership and other information. By participating, you consent to receive recurring text messages sent through an automatic telephone dialing system. Message and data rates m. Contact Information: Westgate Chrysler, 2695 East Main Street, Plainfield, IN, 46168, Phone: (317) 839-6554, E-mail: jtharp@westgateauto.com. * 2019 ** Jeep * * Cherokee * * Altitude * Treat yourself to this 2019 Jeep Cherokee Altitude, which features a push button start, backup camera, Bluetooth, braking assist, a power outlet, hill start assist, stability control, traction control, anti-lock brakes, and dual airbags. Rocking a classic pearl white exterior and a black interior, this car is a great pick. With a 4-star crash test rating, this is one of the safest vehicles you can buy. Call or visit to talk with one of our vehicle specialists today! Call Josh Tharp at 317-839-6554 for more information or to start your EAZY DEAL at Westgate By submitting an inquiry on this vehicle you are agreeing and consenting to our dealership contacting you by telephone, text messaging or other means concerning your inquiry, potential vehicle sale or promotional offerings by our dealership and other information. By participating, you consent to receive recurring text messages sent through an automatic telephone dialing system. Message and data rates m. Contact Information: Westgate Chrysler, 2695 East Main Street, Plainfield, IN, 46168, Phone: (317) 839-6554, E-mail: jtharp@westgateauto.com. * 2019 ** Jeep * * Cherokee * * Altitude * This 2019 Jeep Cherokee Altitude is a great option for folks looking for top features like a push button start, backup camera, Bluetooth, braking assist, a power outlet, hill start assist, stability control, traction control, anti-lock brakes, and dual airbags. Complete with a classic velvet exterior and a black interior, this vehicle is in high demand. This SUV 4X4 is one of the safest you could buy. It earned a crash test rating of 4 out of 5 stars. Call today and take this one out for a spin! Call Josh Tharp at 317-839-6554 for more information or to start your EAZY DEAL at Westgate By submitting an inquiry on this vehicle you are agreeing and consenting to our dealership contacting you by telephone, text messaging or other means concerning your inquiry, potential vehicle sale or promotional offerings by our dealership and other information. By participating, you consent to receive recurring text messages sent through an automatic telephone dialing system. Message and data rates m. Contact Information: Westgate Chrysler, 2695 East Main Street, Plainfield, IN, 46168, Phone: (317) 839-6554, E-mail: jtharp@westgateauto.com. * 2019 ** Jeep * * Cherokee * * Altitude * Armed with a push button start, backup camera, Bluetooth, braking assist, a power outlet, hill start assist, stability control, traction control, anti-lock brakes, and dual airbags, you won't be able to get enough of this 2019 Jeep Cherokee Altitude. Exhibiting a classic crystal metallic exterior and a black interior, this vehicle won't be on the market for long. Drive away with an impeccable 4-star crash test rating and prepare yourself for any situation. Call today to schedule your test drive! Call Josh Tharp at 317-839-6554 for more information or to start your EAZY DEAL at Westgate By submitting an inquiry on this vehicle you are agreeing and consenting to our dealership contacting you by telephone, text messaging or other means concerning your inquiry, potential vehicle sale or promotional offerings by our dealership and other information. By participating, you consent to receive recurring text messages sent through an automatic telephone dialing system. Message and data rates m. Contact Information: Westgate Chrysler, 2695 East Main Street, Plainfield, IN, 46168, Phone: (317) 839-6554, E-mail: jtharp@westgateauto.com. * 2019 ** Jeep * * Cherokee * * Altitude * This 2019 Jeep Cherokee Altitude is a real winner with features like a push button start, backup camera, Bluetooth, braking assist, a power outlet, hill start assist, stability control, traction control, anti-lock brakes, and dual airbags. Exhibiting a sharp velvet exterior and a black interior, this vehicle won't be on the market for long. Drive away with an impeccable 4-star crash test rating and prepare yourself for any situation. Don't sit on this decision for long...schedule your test drive today! Call Josh Tharp at 317-839-6554 for more information or to start your EAZY DEAL at Westgate By submitting an inquiry on this vehicle you are agreeing and consenting to our dealership contacting you by telephone, text messaging or other means concerning your inquiry, potential vehicle sale or promotional offerings by our dealership and other information. By participating, you consent to receive recurring text messages sent through an automatic telephone dialing system. Message and data rates m. Contact Information: Westgate Chrysler, 2695 East Main Street, Plainfield, IN, 46168, Phone: (317) 839-6554, E-mail: jtharp@westgateauto.com. * 2019 ** Jeep * * Cherokee * * Altitude * Make sure to get your hands on this 2019 Jeep Cherokee Altitude with a push button start, backup camera, Bluetooth, braking assist, a power outlet, hill start assist, stability control, traction control, anti-lock brakes, and dual airbags before it's too late! With a sharp crystal metallic exterior and a black interior, this vehicle is a top pick. This one's a keeper. It has a crash test safety rating of 4 out of 5 stars. Don't wait on this one. Schedule a test drive today! Call Josh Tharp at 317-839-6554 for more information or to start your EAZY DEAL at Westgate By submitting an inquiry on this vehicle you are agreeing and consenting to our dealership contacting you by telephone, text messaging or other means concerning your inquiry, potential vehicle sale or promotional offerings by our dealership and other information. By participating, you consent to receive recurring text messages sent through an automatic telephone dialing system. Message and data rates m. Contact Information: Westgate Chrysler, 2695 East Main Street, Plainfield, IN, 46168, Phone: (317) 839-6554, E-mail: jtharp@westgateauto.com. * 2019 ** Jeep * * Cherokee * * Altitude * Treat yourself to this 2019 Jeep Cherokee Altitude, which features a push button start, backup camera, Bluetooth, braking assist, a power outlet, hill start assist, stability control, traction control, anti-lock brakes, and dual airbags. Drivers love the gorgeous diamond black exterior with a black interior. With an unbeatable 4-star crash test rating, this SUV 4X4 puts safety first. This is the vehicle for you! Give us a call today and don't let it slip away! Call Josh Tharp at 317-839-6554 for more information or to start your EAZY DEAL at Westgate By submitting an inquiry on this vehicle you are agreeing and consenting to our dealership contacting you by telephone, text messaging or other means concerning your inquiry, potential vehicle sale or promotional offerings by our dealership and other information. By participating, you consent to receive recurring text messages sent through an automatic telephone dialing system. Message and data rates m. Contact Information: Westgate Chrysler, 2695 East Main Street, Plainfield, IN, 46168, Phone: (317) 839-6554, E-mail: jtharp@westgateauto.com. * 2019 ** Jeep * * Cherokee * * Trailhawk * Get ready to go for a ride in this 2019 Jeep Cherokee Trailhawk, which comes equipped with a backup sensor, push button start, backup camera, blind spot sensors, parking assistance, Bluetooth, braking assist, dual climate control, a power outlet, and hill start assist. Flaunting a classic bright white clearco exterior and a black interior, this car is a sight to see from the inside out. With an unbeatable 4-star crash test rating, this SUV 4X4 puts safety first. Call and schedule your test drive today! Call Josh Tharp at 317-839-6554 for more information or to start your EAZY DEAL at Westgate By submitting an inquiry on this vehicle you are agreeing and consenting to our dealership contacting you by telephone, text messaging or other means concerning your inquiry, potential vehicle sale or promotional offerings by our dealership and other information. By participating, you consent to receive recurring text messages sent through an automatic telephone dialing system. Message and data rates m. Contact Information: Westgate Chrysler, 2695 East Main Street, Plainfield, IN, 46168, Phone: (317) 839-6554, E-mail: jtharp@westgateauto.com. * 2019 ** Jeep * * Cherokee * * Trailhawk * Make sure to get your hands on this 2019 Jeep Cherokee Trailhawk with a backup sensor, push button start, backup camera, blind spot sensors, parking assistance, Bluetooth, braking assist, dual climate control, a power outlet, and hill start assist before it's too late! With a dazzling crystal metallic exterior and a black interior, this vehicle is a top pick. This one's a keeper. It has a crash test safety rating of 4 out of 5 stars. View this beauty and our entire inventory today! Call for more details. Call Josh Tharp at 317-839-6554 for more information or to start your EAZY DEAL at Westgate By submitting an inquiry on this vehicle you are agreeing and consenting to our dealership contacting you by telephone, text messaging or other means concerning your inquiry, potential vehicle sale or promotional offerings by our dealership and other information. By participating, you consent to receive recurring text messages sent through an automatic telephone dialing system. Message and data rates m. Contact Information: Westgate Chrysler, 2695 East Main Street, Plainfield, IN, 46168, Phone: (317) 839-6554, E-mail: jtharp@westgateauto.com. * 2019 ** Jeep * * Cherokee * * Trailhawk * For a top driving experience, check out this 2019 Jeep Cherokee Trailhawk with a backup sensor, push button start, backup camera, blind spot sensors, parking assistance, Bluetooth, braking assist, dual climate control, a power outlet, and hill start assist. Rocking a classic bright white clearco exterior and a black interior, this car is a great pick. This SUV 4X4 scored a crash test safety rating of 4 out of 5 stars. Interested? Don't let it slip away! Call today for a test drive. Call Josh Tharp at 317-839-6554 for more information or to start your EAZY DEAL at Westgate By submitting an inquiry on this vehicle you are agreeing and consenting to our dealership contacting you by telephone, text messaging or other means concerning your inquiry, potential vehicle sale or promotional offerings by our dealership and other information. By participating, you consent to receive recurring text messages sent through an automatic telephone dialing system. Message and data rates m. Contact Information: Westgate Chrysler, 2695 East Main Street, Plainfield, IN, 46168, Phone: (317) 839-6554, E-mail: jtharp@westgateauto.com. * 2019 ** Jeep * * Cherokee * * Trailhawk * When you're ready to upgrade your ride, opt for this 2019 Jeep Cherokee Trailhawk, which includes features such as backup sensor, push button start, backup camera, blind spot sensors, parking assistance, Bluetooth, braking assist, dual climate control, a power outlet, and hill start assist. Rocking a charming diamond black exterior and a black interior, this car is a great pick. This SUV 4X4 scored a crash test safety rating of 4 out of 5 stars. Interested? Call today to take this vehicle for a spin! Call Josh Tharp at 317-839-6554 for more information or to start your EAZY DEAL at Westgate By submitting an inquiry on this vehicle you are agreeing and consenting to our dealership contacting you by telephone, text messaging or other means concerning your inquiry, potential vehicle sale or promotional offerings by our dealership and other information. By participating, you consent to receive recurring text messages sent through an automatic telephone dialing system. Message and data rates m. Contact Information: Westgate Chrysler, 2695 East Main Street, Plainfield, IN, 46168, Phone: (317) 839-6554, E-mail: jtharp@westgateauto.com. * 2019 ** Jeep * * Cherokee * * Limited * Auto fans love the backup sensor, push button start, remote starter, backup camera, blind spot sensors, parking assistance, Bluetooth, braking assist, dual climate control, and a power outlet of this 2019 Jeep Cherokee Limited. Rocking a charming bright white clearco exterior and a black interior, this car is a great pick. Want a SUV 4X4 you can rely on? This one has a crash test rating of 4 out of 5 stars! Don't regret waiting on this one! Call today to schedule your test drive. Call Josh Tharp at 317-839-6554 for more information or to start your EAZY DEAL at Westgate By submitting an inquiry on this vehicle you are agreeing and consenting to our dealership contacting you by telephone, text messaging or other means concerning your inquiry, potential vehicle sale or promotional offerings by our dealership and other information. By participating, you consent to receive recurring text messages sent through an automatic telephone dialing system. Message and data rates m. Contact Information: Westgate Chrysler, 2695 East Main Street, Plainfield, IN, 46168, Phone: (317) 839-6554, E-mail: jtharp@westgateauto.com. 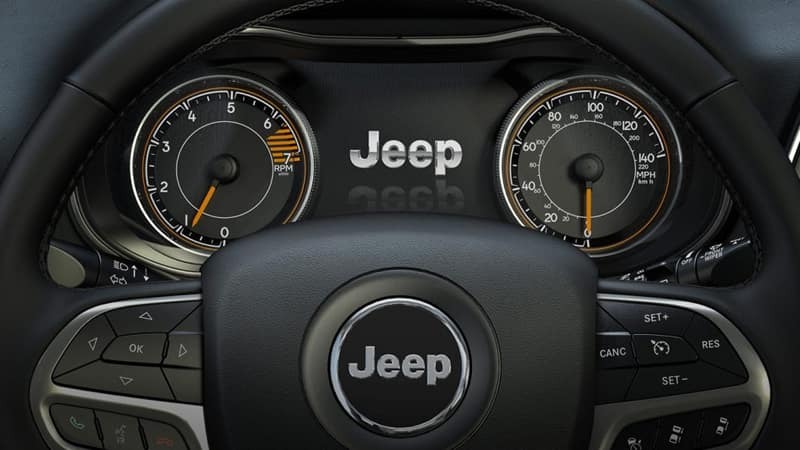 * 6 Cylinder engine * * 2019 ** Jeep * * Cherokee * * High Altitude * Armed with a backup sensor, push button start, remote starter, backup camera, blind spot sensors, parking assistance, Bluetooth, braking assist, dual climate control, and a power outlet, you won't be able to get enough of this 2019 Jeep Cherokee High Altitude. It has a 6 Cylinder engine. Flaunting a classic diamond black exterior and a black interior, this car is a sight to see from the inside out. Be sure of your safety with a crash test rating of 4 out of 5 stars. Don't regret waiting on this one! Call today to schedule your test drive. Call Josh Tharp at 317-839-6554 for more information or to start your EAZY DEAL at Westgate By submitting an inquiry on this vehicle you are agreeing and consenting to our dealership contacting you by telephone, text messaging or other means concerning your inquiry, potential vehicle sale or promotional offerings by our dealership and other information. By participating, you consent to receive recurring text messages sent through an automatic telephone dialing system. Message and data rates m. Contact Information: Westgate Chrysler, 2695 East Main Street, Plainfield, IN, 46168, Phone: (317) 839-6554, E-mail: jtharp@westgateauto.com. * 6 Cylinder engine * * 2019 ** Jeep * * Cherokee * * Trailhawk * With top features including the backup sensor, push button start, backup camera, blind spot sensors, parking assistance, Bluetooth, braking assist, dual climate control, a power outlet, and hill start assist, this 2019 Jeep Cherokee Trailhawk is a great decision. It has a 6 Cylinder engine. Rocking a sharp gray clearcoat exterior and a black interior, this car is a sight to see from the inside out. This one's a keeper. It has a crash test safety rating of 4 out of 5 stars. Don't regret waiting on this one! Call today to schedule your test drive. Call Josh Tharp at 317-839-6554 for more information or to start your EAZY DEAL at Westgate By submitting an inquiry on this vehicle you are agreeing and consenting to our dealership contacting you by telephone, text messaging or other means concerning your inquiry, potential vehicle sale or promotional offerings by our dealership and other information. By participating, you consent to receive recurring text messages sent through an automatic telephone dialing system. Message and data rates m. Contact Information: Westgate Chrysler, 2695 East Main Street, Plainfield, IN, 46168, Phone: (317) 839-6554, E-mail: jtharp@westgateauto.com. * 2019 ** Jeep * * Cherokee * * Trailhawk * This 2019 Jeep Cherokee Trailhawk is complete with top-features such as the backup sensor, push button start, backup camera, blind spot sensors, parking assistance, Bluetooth, braking assist, dual climate control, a power outlet, and hill start assist. Complete with a suave gray clearcoat exterior and a black interior, this vehicle is in high demand. With an unbeatable 4-star crash test rating, this SUV 4X4 puts safety first. Don't sit on this decision for long...schedule your test drive today! Call Josh Tharp at 317-839-6554 for more information or to start your EAZY DEAL at Westgate By submitting an inquiry on this vehicle you are agreeing and consenting to our dealership contacting you by telephone, text messaging or other means concerning your inquiry, potential vehicle sale or promotional offerings by our dealership and other information. By participating, you consent to receive recurring text messages sent through an automatic telephone dialing system. Message and data rates m. Contact Information: Westgate Chrysler, 2695 East Main Street, Plainfield, IN, 46168, Phone: (317) 839-6554, E-mail: jtharp@westgateauto.com. * 2019 ** Jeep * * Cherokee * * Trailhawk * This 2019 Jeep Cherokee Trailhawk boasts features like a backup sensor, push button start, backup camera, blind spot sensors, parking assistance, Bluetooth, braking assist, dual climate control, a power outlet, and hill start assist and will not disappoint. Complete with a stunning red clearcoat exterior and a black interior, this vehicle is in high demand. With a crash test rating of 4 out of 5 stars, everyone can feel secure. Come see us today and see this one in person! Call Josh Tharp at 317-839-6554 for more information or to start your EAZY DEAL at Westgate By submitting an inquiry on this vehicle you are agreeing and consenting to our dealership contacting you by telephone, text messaging or other means concerning your inquiry, potential vehicle sale or promotional offerings by our dealership and other information. By participating, you consent to receive recurring text messages sent through an automatic telephone dialing system. Message and data rates m. Contact Information: Westgate Chrysler, 2695 East Main Street, Plainfield, IN, 46168, Phone: (317) 839-6554, E-mail: jtharp@westgateauto.com. * 2019 ** Jeep * * Cherokee * * Trailhawk * Make sure to get your hands on this 2019 Jeep Cherokee Trailhawk with a backup sensor, push button start, backup camera, blind spot sensors, parking assistance, Bluetooth, braking assist, dual climate control, a power outlet, and hill start assist before it's too late! Exhibiting a beautiful diamond black exterior and a black interior, this vehicle won't be on the market for long. With an unbeatable 4-star crash test rating, this SUV 4X4 puts safety first. Good cars sell fast! Give us a call and schedule an appointment today! Call Josh Tharp at 317-839-6554 for more information or to start your EAZY DEAL at Westgate By submitting an inquiry on this vehicle you are agreeing and consenting to our dealership contacting you by telephone, text messaging or other means concerning your inquiry, potential vehicle sale or promotional offerings by our dealership and other information. By participating, you consent to receive recurring text messages sent through an automatic telephone dialing system. Message and data rates m. Contact Information: Westgate Chrysler, 2695 East Main Street, Plainfield, IN, 46168, Phone: (317) 839-6554, E-mail: jtharp@westgateauto.com.